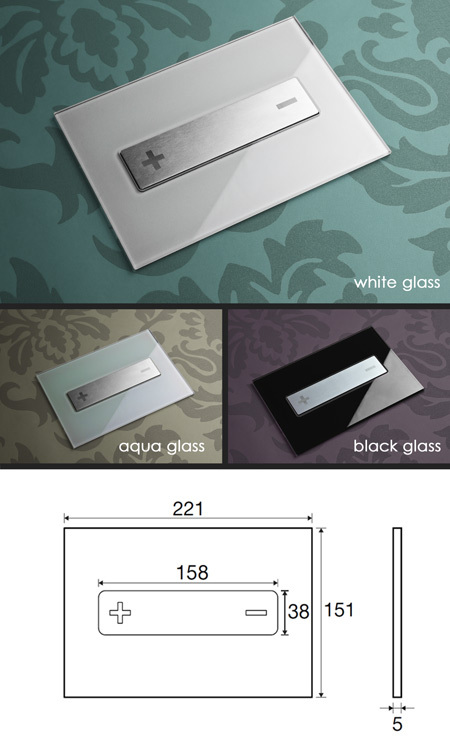 These luxury quality flush plates are available in white, black and aqua blue glass. Designed for high quality bathrooms these exclusive glass flush buttons are a stylish finishing touches to our European quality concealed toilet cisterns. * In white, black & aqua blue.